Even in Bollywood, foreign education is held in high regard. BANGALORE: After Ranbir Kapoor and Riteish Deshmukh, a new generation of young actors trained in acting from foreign institutions have emerged, all set to make their mark in Bollywood. Ranbir and Riteish are both trained at the Lee Strasberg Theatre and Film Institute in New York. One of the most reputable acting schools in the US, Lee Strasberg has trained many big Hollywood stars like Al Pacino, Julia Roberts and Angelina Jolie. Strasberg is the guy who played the role of Hyman Roth, the main antagonist in Francis Ford Coppola’s The Godfather Part II. As the young generation is preferring foreign education in every possible stream, the school of acting does not seem to prove an exception. Many new young names like Mohit Marwah, Athiya Shetty, Aadar Jain, Armaan Jain, and Harshavardhan Kapoor have returned after training in foreign institutions like Lee Strasberg Theatre and Film Institute, New York Film Academy, Dodge College of Film and Media Arts, California. Bollywood has always had a tradition of veteran actors who learnt acting on the stage and then debuted at the film industry. Paresh Rawal, Om Puri, Aupam Kher, Manoj Bajpayee, Nawazuddin Siddiqui are a few among the many names in this list. Now it seems that Bollywood is opening up to a new tradition of actors trained in foreign institutions. “Acting is like any other profession. If someone wants to be a banker, they will start by first studying finance. Similarly, it is important to learn the basics of acting before entering the film industry. 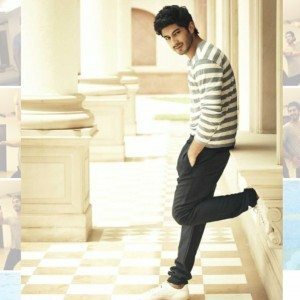 Although creativity is an innate talent, it is equally important to shape and define it through practice and tutoring,” Lee Strasberg-trained Mohit Marwah told the media. Marwah is making his debut with Akshay Kumar-produced Fugly. Athiya Shetty will be seen in the remake of Jackie Shroff’s Hero, alongside the very controversial Sooraj Pancholi. Armaan Jain will debut in ‘Lekar Hum Deewana Dil’ and Harshavardhan Kapoor will be seen in Rakeysh Omprakash Mehra’s next. Bollywood does not shy away from importing foreign heroines when the need occurs. Bruna Abdullah and Nargis Fakhri are good examples of that rule. So perhaps it will be good for the industry if Bollywood starts importing trained actors for a change.